From 1618 to 1619 the Dutch government, on behalf of the Dutch Reformed Church, called and convened the Synod of Dort. 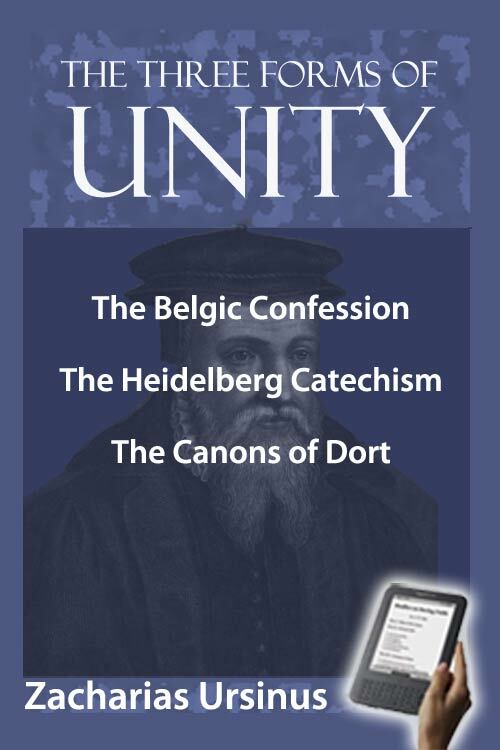 Dutch delegates, along with twenty-seven Reformed representatives from eight other countries, met at this Synod of Dort, where they collectively summarized their views in what was called the "Canons of Dort." The Heidelberg Catechism (1563), is a Protestant confessional document taking the form of a series of questions and answers, for use in teaching Reformed Christian doctrine. It was written in 1563 in Heidelberg, present-day Germany. It's original title in translates to Catechism, or Christian Instruction, according to the Usages of the Churches and Schools of the Electoral Palatinate. Commissioned by the prince-elector of the Electoral Palatinate, it is sometimes referred to as the "Palatinate Catechism." It has been translated into many languages and is regarded as one of the most influential of the Reformed catechisms.